Ho Hum, another incubator. This one is notable, however, because it has a very big name behind it….Thomson Reuters. Seems like just a few months ago people were frantically trying to learn what blockchain was (btw, spellcheck still doesn’t get it) and yet startup incubators using the blockchain technology are rapidly changing the world. Literally. So, great to see Thomson Reuters lend their heft to helping the world change. 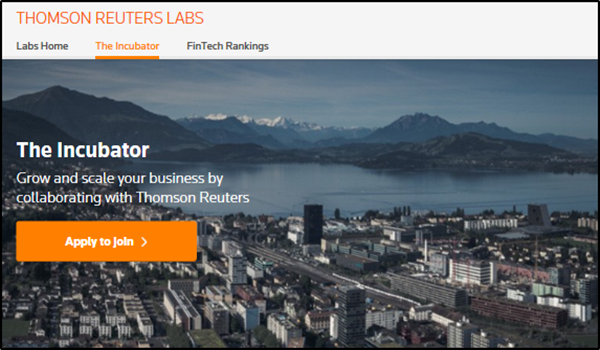 Zurich — Thomson Reuters today announced the launch of Thomson Reuters Labs™ – The Incubator. Located in Switzerland, the Incubator will host early-stage entrepreneurs building next-generation products in big data, advanced analytics, distributed ledgers, artificial intelligence, machine learning and other transformational technologies. As part of the official program, startups will receive access to Thomson Reuters world-class data and content sets, mentoring from experienced executives and networking opportunities for investment and commercialization. 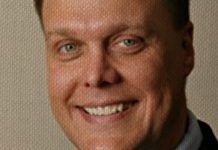 The Incubator has officially enrolled two startups focused on Fintech. Open Mineral is an early stage Swiss start-up disrupting the commodities market. The team has developed a multi-sided platform which will directly connect the mines and smelters of physical commodities such as copper, zinc and lead, increasing transparency and lowering fees. WealthArc is a cloud-based Software-as-a-Service (SaaS) platform for the $120 trillion investment management industry offering digital client interaction and real-time new generation investment management for family offices, wealth managers and private banks. The platform handles the integration of data, consolidation of assets and digital reporting as well as a robo-advisor offering to clients. Måns Olof-Ors, Head of Thomson Reuters Labs – Zurich Region and the Incubator added, “Our ultimate goal is to help our entrepreneurs realize their vision and get their solutions to market. In turn, we gain valuable insight, working with creative disruptors to identify new opportunities and ensure we are providing our clients with the most up to date trends impacting their professional markets. The team is currently reviewing a pipeline of additional applicants for the six month program. Applications can be submitted direct through the online website here.